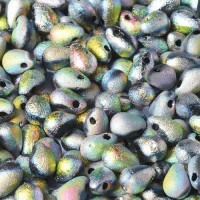 A pack of 25 Czech glass Side Drill etched drops in Jet Full Capri Rose colour. 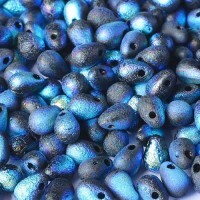 These Czech Etched Sliperit Drop beads are used in many ways to add drama, interest and definition to your beadwork. 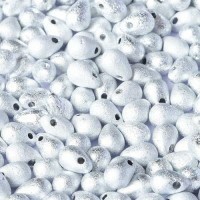 Measuring 4x6mm each, and supplied in packs of 25 beads, they are the best way to take your beads to the next level!